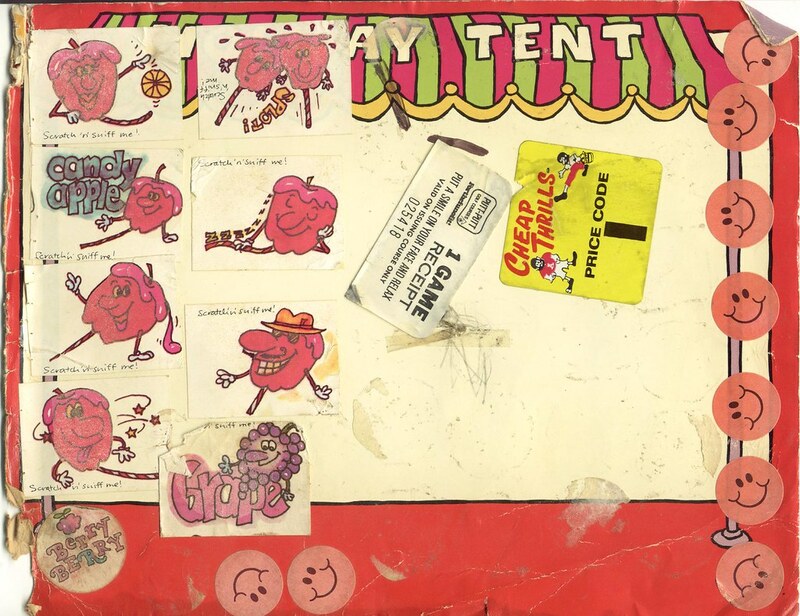 Back in March, I took a look at my elementary school sticker collection. 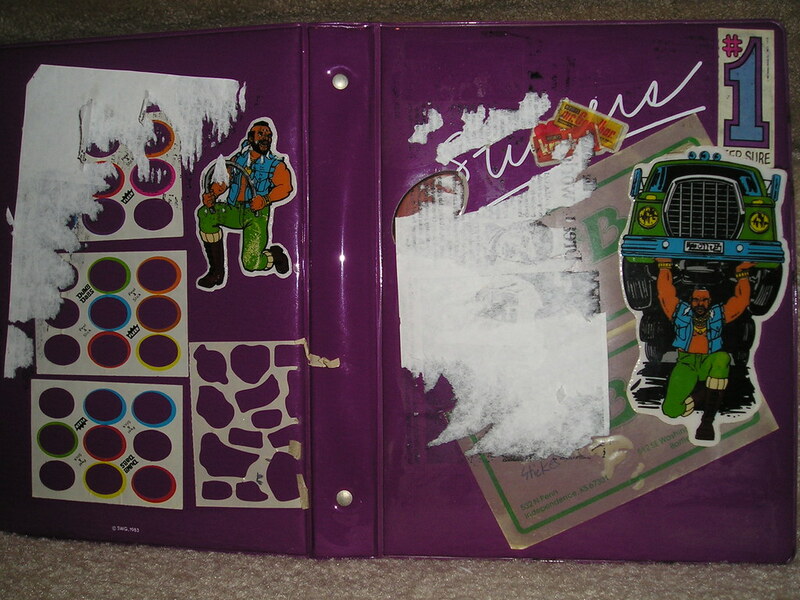 It consisted of some scratch and sniff stickers, puffy Mr T stickers and a crap load of Michael Jackson stickers. 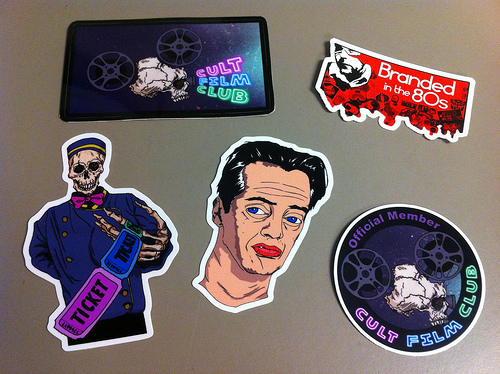 It was pretty popular and I got several requests for more awesome 80s sticker goodness. So I’m delivering. 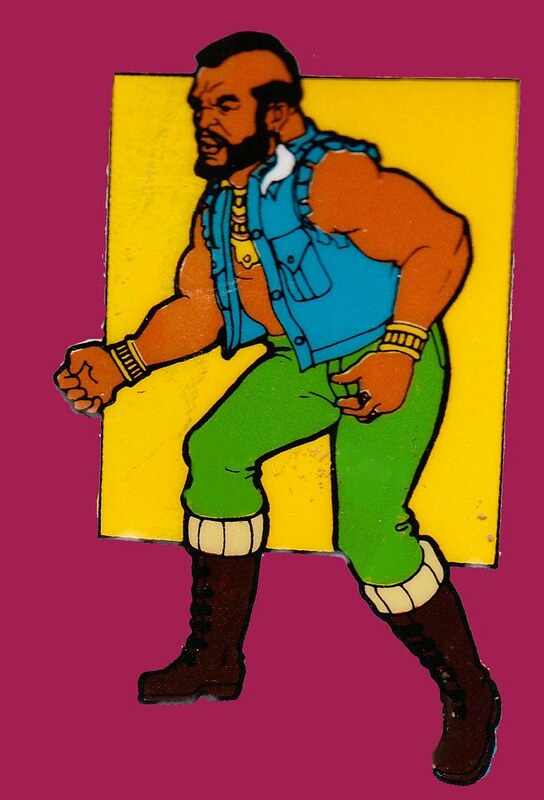 First off, I had a few requests for a better look at the Mr T puffy stickers on the front and back covers of my sticker album. 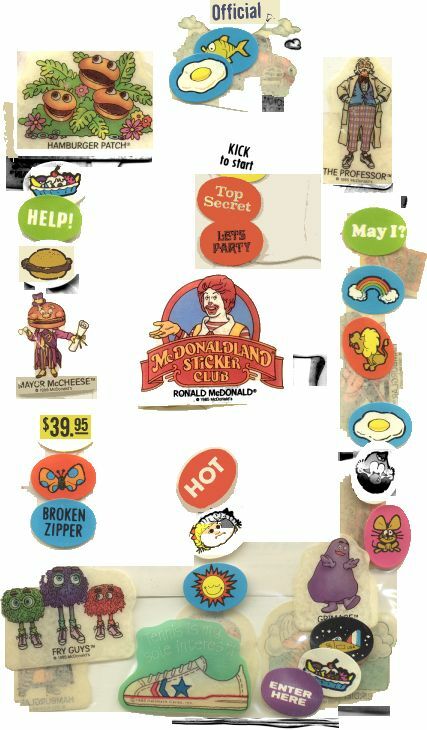 To refresh your memory, here’s the cover to my sticker album. 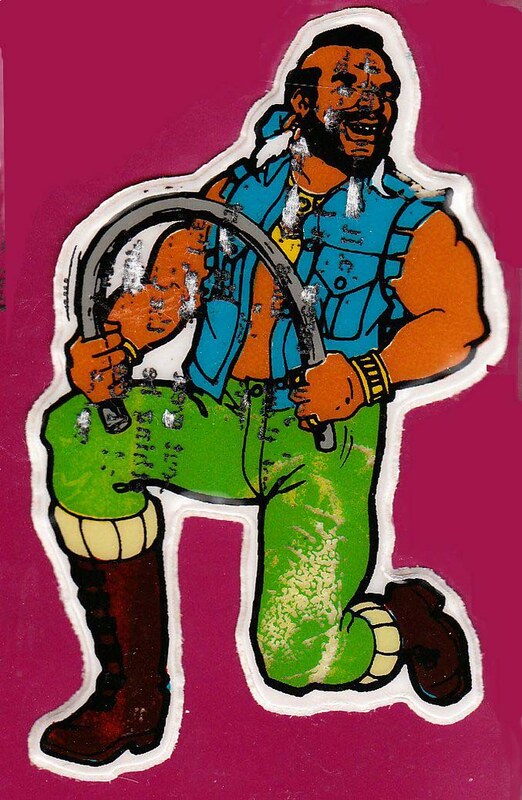 So, I scanned the Mr T stickers again and tried to clean them up a bit with Photoshop. Here they are. On the left we have cartoon, puffy Mr T bending a pipe with his bare, manly hands. The one on the right is probably my favorite, Mr T lifting a f’n semi over his head. 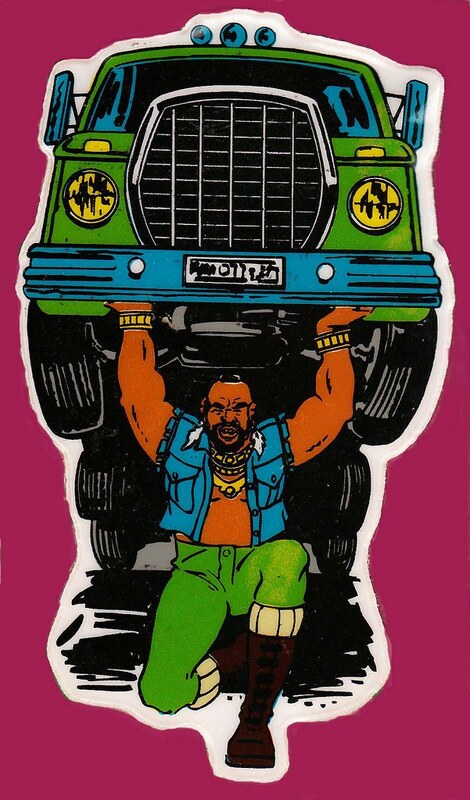 It looks like the two truck tires are reaching down to hug the awesomeness that is cartoon, puffy Mr T.
Here are two stickers I didn’t actually share in the earlier article. 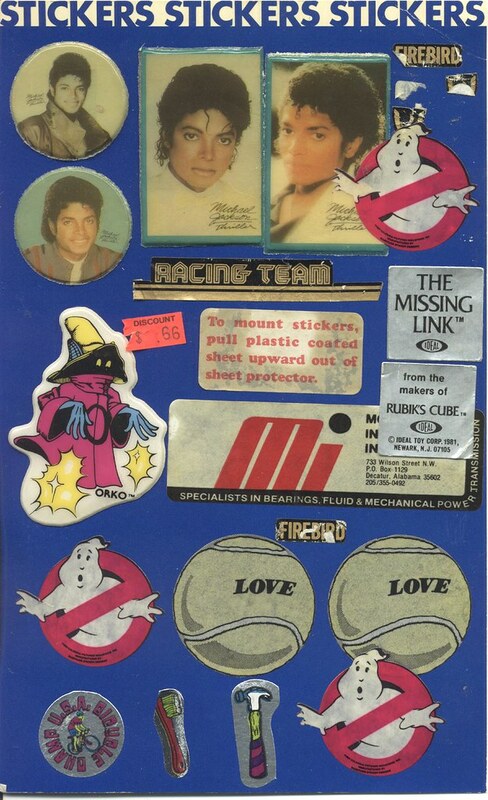 They were on the inside cover of the sticker album. A full body shot of Mr T looking like he’s about to tackle some poor fool (left) and Mr T’s giant head (right). 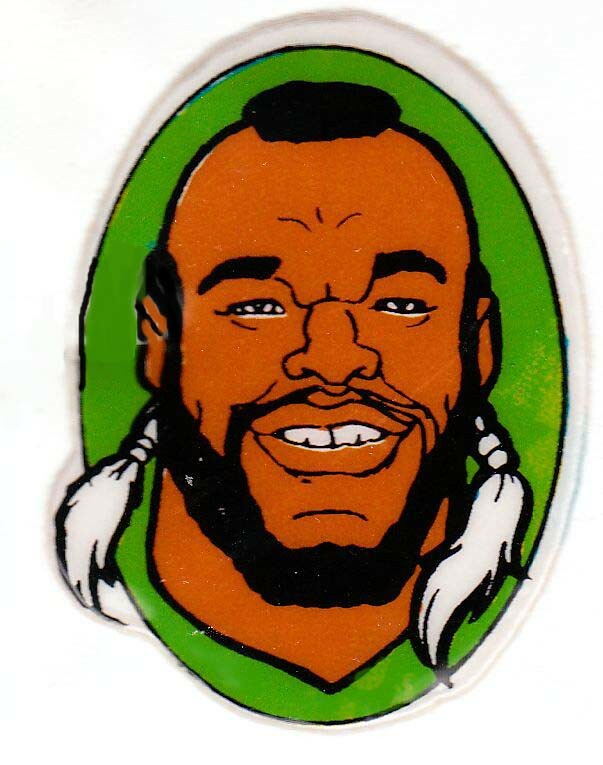 So, those were the awesome Mr T puffy stickers. They are obviously based on the Mr T cartoon from 1983-1984 that featured Mr T traveling around the country with a group of young gymnasts (!?). 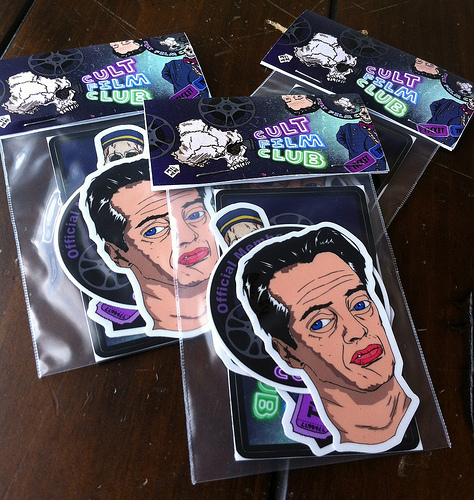 Now, let’s take a look at another faction of this sticker collection, bumper stickers. 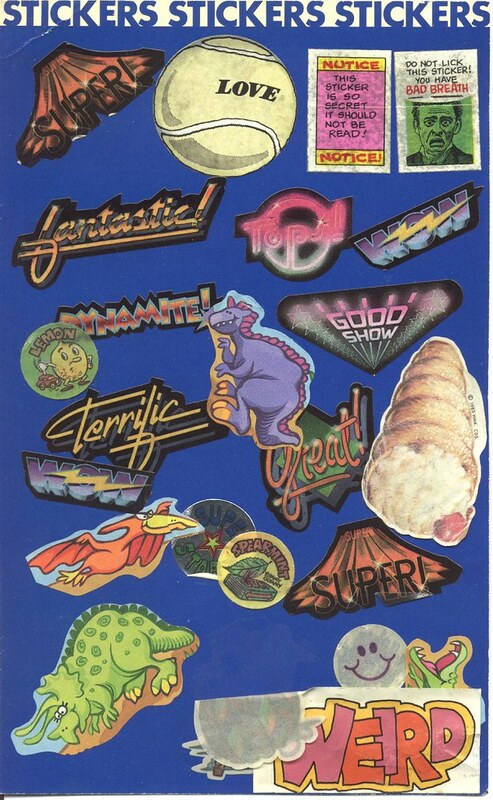 I collected a few bumper stickers around the same time I kept the above sticker album. 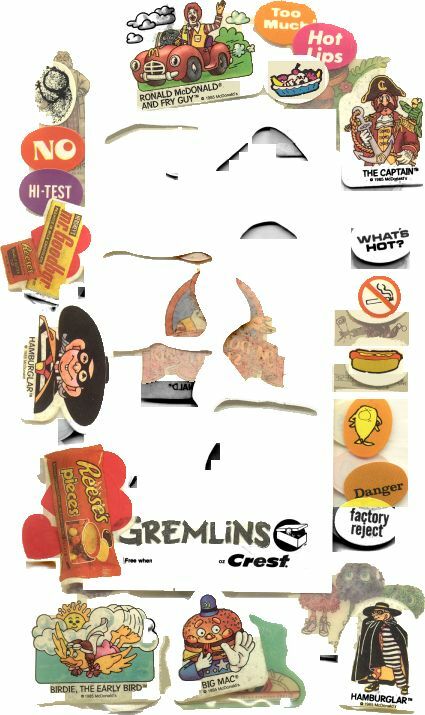 The majority of the bumper stickers I obtained as prizes/giveaways at my elementary school’s Fall Festival. They were an easy way to promote stuff to us kids. 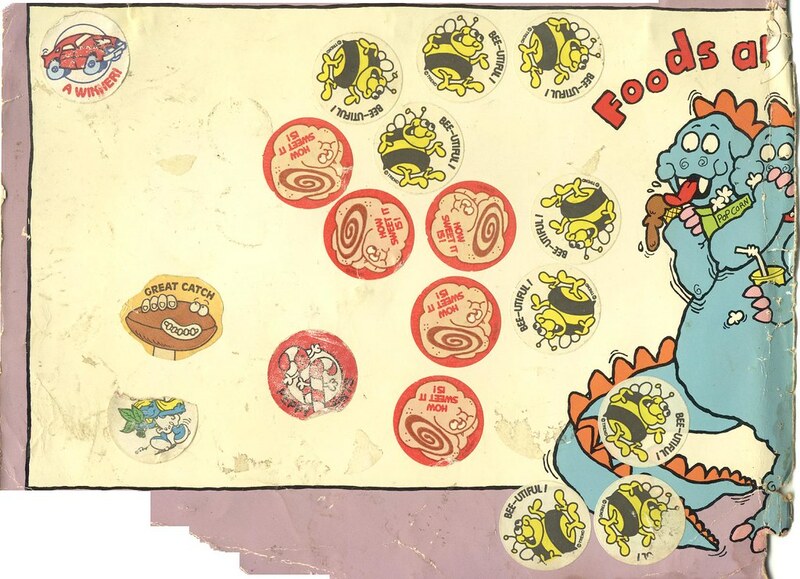 Here’s a Putt-Putt Golf & Games bumper sticker from the mid-80s. This particular Putt-Putt was located on Hwy 31 in Birmingham right in the middle of Hoover. It was there for me like a good friend all through elementary and high school. It later turned into a Krispy Kreme donuts and then something else which I can’t remember. I’m not sure what is there now. These bumper stickers are great for the logos alone. This is a MADD sticker (Mothers Against Drunk Driving) that is sponsored by local TV station WBRC6 and Big B Drugs. Big B Drugs was owned by the local Bruno’s Supermarkets and was the precursor to stores like CVS and Walgreens. Big B was bought out by Revco then CVS in the mid-90s. I love that they passed out drunk driving bumper stickers to elementary school kids. What would an 80s bumper sticker collection be without a “Just Say No” sticker? It would be dead inside. So here’s mine, and it has a great 80s Pepsi logo too.